Release date: 02/07/19 at 10pm PST. 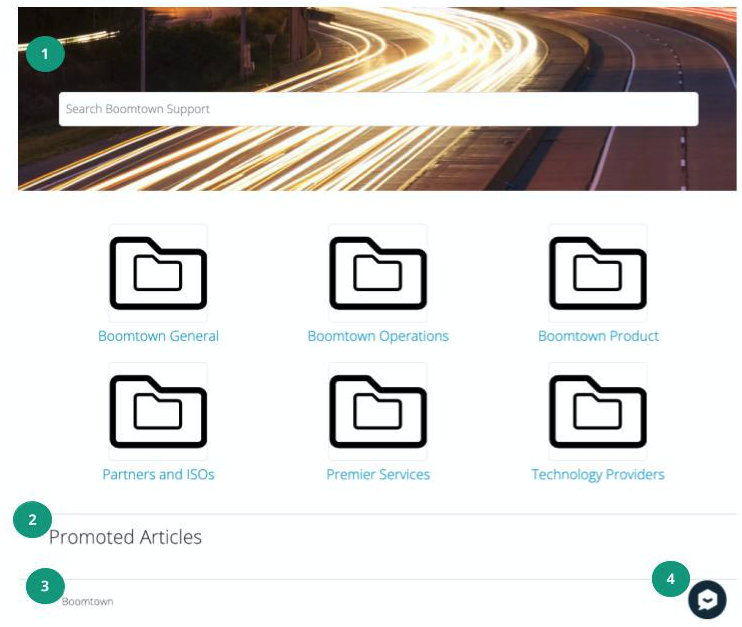 This month, we revamped our Knowledge Base for a highly customizable and intuitive experience, as well as the ability to create ecosystems of shared knowledge between partners. We also made improvements to the Issue flow, adding a robust escalation workflow and making email alert templates more customizable. As always, we also continued to fix bugs and enhance existing features. Read the full release notes below for more information about the new features and how to use them. Simple and intuitive content management system: We added an easy-to-use folder structure with unlimited levels and granular permissions for complete flexibility over how you organize, manage, and share your long-form content. Learn more here. Ability to collaborate and share knowledge within partner ecosystems: you can now make articles publicly accessible or privately accessible to specified Organizations, Teams, and/or Users only. Learn more here. Advanced article body text formatting: a new text editor supports advanced text editing capabilities, as well as adding images, hyperlinks, tables, quotes, alerts, files, and more. Learn how to use the new editor here. Ability to create multiple Knowledge Bases for your Organization: create and customize multiple KBs to represent the different brands and products you provide. Integration with the Relay Technology Index: articles now have the ability to be linked to Relay’s extensive Technology Index, which will help Relay suggest relevant articles to agents when supporting a customer. Advanced Analytics: view reports on various metrics related to the articles, including views, collaborating users, and upvotes, all available in the Knowledge Base report. Banner Image: upload a branded image at the top of the page or keep the default placeholder. Promoted Articles: display articles you want the Customers to see first right on the home page. Footer: add text to the bottom of your pages that appear on each article. Chat Support: add a webConnect chat button for immediate Customer support. Learn how to add webConnect to your KB here. Custom Folders: display custom icons for your folders to match your brand. Learn more about customizing your knowledge base here. Escalation Reason: a field for customizable tags to track why an issue was escalated. Escalation Notes: a text box for adding notes related to the escalation. Notification Channels: contact Customers through email or the Connect mobile app, and contact collaborators through email or Relay to update them on any escalated Issues. De-escalate button: press to de-escalate the Issue. If necessary, the issue may be escalated again. Learn more about Issue escalations here. Multiple attachments: Added functionality to add multiple attachments on outbound emails from the email channel in Public/Private Chat. Learn how to attach files in Issue chats here. Custom email templates: Added an option for configuration of Organization-wide outbound email templates to include tokens like Reference ID. Learn more here. Reduced clutter on email panel: Removed automatic emails of all chat messages on Issues that originated as emails. Messages now only send to the channel that is selected from the Issue conversation panel. Learn more about Issue sources here. Total active support minutes: This will summarize all active time spent (time with Issue as active window on screen) by all agents on any given Issue so you can aggregate total time it takes to resolve an Issue. Total agents involved: Added a count of the number of agents that have active support time related to each Issue to help you understand how many individuals touch any given Issue. Added a third, Inactive, status to the Customer Location status options and provided an API endpoint for update. Added an option to allow an hourly rate of 0 for non-Boomtown technicians. Added auto-refresh under Issues → Tasks view. Fixed a bug where some Relay Users were unable to remove collaborating Teams from Issue assignments. Fixed a bug where some Relay Users were unable to access the Profile Matrix for Sense. Fixed an issue where resetting a user’s password was causing error “Invalid Input”. Fixed an issue where the search term in Customers field on Issues -> Add blanks out during search. Removed mandatory requirement on Issues > Add > New Customer : Issue Checklist. Fixed an issue where Relay users noticed “Error joining chat-room” when the ID of a Relay Issue is a valid hex number. Fixed inconsistencies in search results between card view and list view on field services profile grid. Fixed an issue where the webConnect rating screen showed incorrect colors of the 1-10 rating scale. 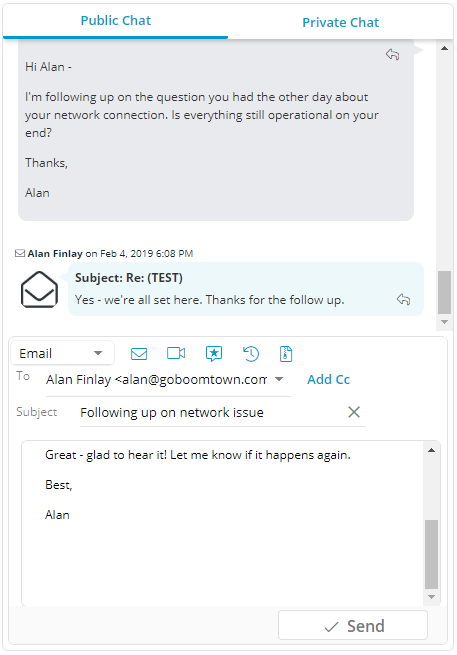 If you have any questions or need a hand implementing any of these new features, please chat us in Relay or reach out to us at success@goboomtown.com.